General Tire is building on its new partnership as the Official Tire of the ARCA Racing Series Presented by Menards and will become the presenting sponsor of the upcoming ARCA season-opening race at the “World Center of Racing.” The race scheduled for February 13 at the legendary Daytona International Speedway will now be known as the “Lucas Oil 200 Driven by General Tire.” This 80-lap, 200-mile event kicks off SPEEDWEEKS® at Daytona, the first of two races on Saturday night, Feb. 13. Following the Lucas Oil 200 Driven by General Tire, the stars of the NASCAR Sprint Cup Series will take center stage with the Sprint Unlimited. Both races will be the first stock car events at the facility since the completion of the DAYTONA Rising project, $400 million renovation that transformed the speedway into the world’s first motorsports stadium. “For us to be a part of stock car history at the legendary Daytona International Speedway is beyond words. 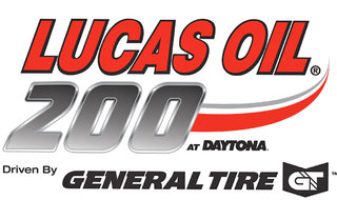 We are truly excited and honored to partner with the track and join our great friends at Lucas Oil in support of the ARCA Racing Series.” said Travis Roffler, director of marketing for General Tire. The multi-year agreement will make General Tire a Promotional Partner of Daytona International Speedway. Branding for the 100-year old tire company will be visible at the pre-race stage, the flag stand and in victory lane. General Tire plans to announce additional ARCA Racing Series entitlements in the coming week.